Connecticut Governor Ned Lamont told reporters on Tuesday that he wants sports betting, recreational marijuana and electronic tolls legalized this year, according to the Hartford Courant. He said he would “put his shoulder to the wheel” when the legislature begins to seriously act on any of these items. 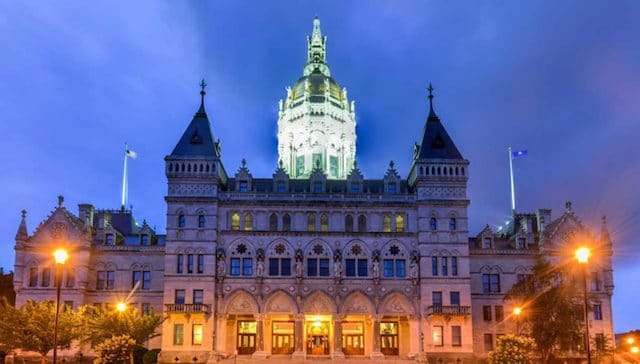 Connecticut’s legislature has already had two marathon hearings — one that lasted nearly 11 hours — to discuss the possible implementation of legal sports betting. But in both hearings, lawmakers appeared to accomplish little in terms of hammering out a framework. But the biggest hurdle to legal sports betting in Connecticut is cutting a deal with the state’s two tribes — the Mohegan and Mashantucket Pequot tribes, operators of Mohegan Sun and Foxwoods Resort Casino, respectively — both of which pay the state significant sums from gaming revenue. Lamont says he’s been at work on that front. His most telling comment of all, though, was in response to a reporter asking if the negotiations would be complete before Connecticut’s legislature adjourns on June 8. 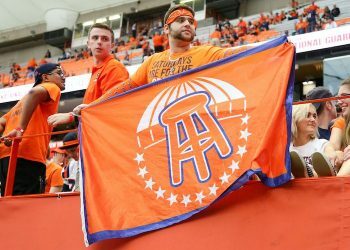 Sports betting can’t be legalized in Connecticut without a new pact. At the end of last year’s legislative session, Louisiana state senator Danny Martiny was understandably frustrated. His efforts to legalize sports betting were mostly rebuffed. And that’s exactly what’s been happening. Mississippi was the third state to launch legal sports betting last summer and Arkansas in November legalized it via ballot referendum. The plan in Arkansas is to launch sports betting this summer. And Louisiana? Little progress. Louisiana’s legislative session opens Monday, and Martiny pre-filed a bill that would allow sports betting at the state’s riverboat and land-based casinos and racetracks with a licensed slot machine gaming area. The bill lacks key details like a tax rate and licensing fees, but Martiny is likely just trying to open the conversation again. 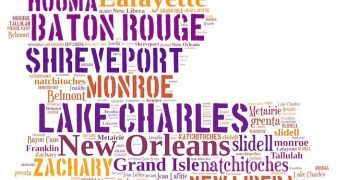 No matter what a sports betting bill looks like, though, Louisianans will decide on a parish-by-parish basis where sports betting will be legal, just as they did for daily fantasy sports, and that can’t happen until the fall. Louisiana has a mature gaming market, with two dozen casinos around the state, mostly in New Orleans and in the north in the Shreveport/Bossier City area. But if it feels like deja vu in Louisiana, it may well be. In 1990, Mississippi’s first casino opened, but Louisiana lagged behind — as much as three years before the first casino in New Orleans opened. A culture of driving to Mississippi to gamble had been established, and it was tough to break. The same may be happening with sports betting, as Mississippi’s Gulf Cost casinos are only an hour drive from the Big Easy. 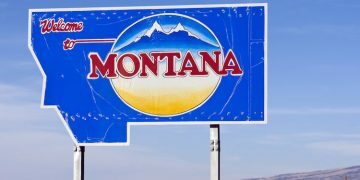 Montana continues its march to legalize sports betting. The two bills, HB 475 and HB 725, that were approved on the House floor, have moved over to the Senate and are scheduled for a hearing on Friday before the Senate Committee on Business Labor and Economic Affairs. SB 330, which cleared the Senate earlier this week, is set for a hearing Wednesday before the House Business and Labor Committee. If the bills pass committee, they’ll be sent to the chamber floors for second and third readings. If a bill is approved in the second chamber with no amendment, then it get signed by representatives from both chambers and sent to the governor for approval. Montana’s legislative session ends April 20. Quick and dirty guide to Final Four sports betting. Old lottery debate gumming up the works for Alabama sports betting legislation. Bizarre Arkansas bill includes integrity fee, prohibits wagering on WWE, Special Olympics and dogs. VSiN contest reveals potential intersection between blockchain and sports betting. Looks like Montana is on the fast track to legal sports betting. We can work it out: Theme songs for a dozen states considering legal sports betting. Q&A with international expert in online gaming Keith McDonnell. The total dummy’s guide to sports betting geolocation.